Techniques, methods and processes for the accomplishment of demanding engineering tasks in the automotive industry and related areas. Vector supports you with integrated solutions for the most diverse requirements in the different technologies. Autonomous driving cars are vehicles that are capable of sensing their environment and navigating without human input. They use a variety of techniques to detect their surroundings, such as radar, laser light, GPS, odometry, and computer vision. Advanced control systems interpret sensory information to identify appropriate navigation paths, as well as obstacles and relevant signage. AUTOSAR (Automotive Open System Architecture) is a standardization initiative of leading automotive manufacturers and suppliers that was founded in autumn of 2003. The goal is the development of a reference architecture for ECU software that can manage the growing complexity of ECUs in modern vehicles. Specialized internal communication networks interconnect components inside automobiles, buses, trains, industrial or agricultural vehicles or aircrafts. Special requirements for vehicle control such as assurance of message delivery, of non-conflicting messages, of minimum time of delivery, of low cost, and of EMF noise resilience, as well as redundant routing and other characteristics mandate the use of less common networking protocols. Protocols include Controller Area Network (CAN), Local Interconnect Network (LIN), Media Oriented System Transport (MOST), FlexRay and others. Also conventional computer networking technologies such as Ethernet and TCP/IP are established in automotive engineering by now. For aircrafts Vector offers implementations of AFDX and ARINC 429. Growing complexity in automotive electronics can only be mastered – technically and economically – by use of nonproprietary standards like OBD or ODX, as well as close cooperation and powerful tools. Innovative solutions are becoming more available to allow electric mobility to enter the mass-market. An important part of this is the charging technology. The term smart charging is used for charging systems of electric or hybrid vehicles according to ISO 15118, DIN 70121:2014-12, SAE J2847/2. Vector supports developers of on-board charging ECUs in the vehicle, charging stations and induction charging systems with extensive test systems and bespoke ECU software. Development engineers and technicians need flexible read and write access to variables and memory contents for the optimum parameterization of ECUs. For this purpose, the CAN Calibration Protocol (CCP) was developed in the 1990s as an OEM-independent standard. After additional bus systems such as LIN, MOST and FlexRay became established in ECU networking, CCP reached its limits due to the restriction to the CAN bus, which led to the development of the XCP protocol. Like CCP, the "Universal Measurement and Calibration Protocol" (XCP) originated from ASAM and was standardized in the year 2003. Vector played a key role in its release. As a two-layer protocol, it consistently splits the XCP protocol from the transport layers, and it takes a Single-Master/Multi-Slave approach. 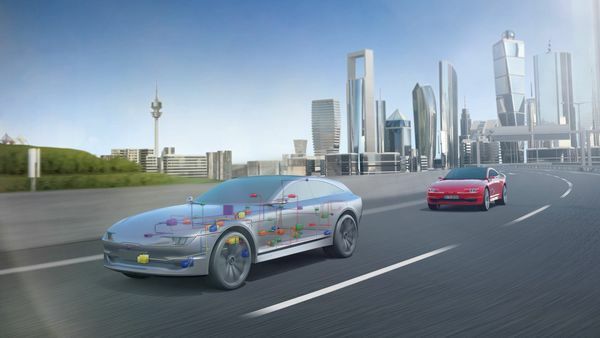 In the automotive industry, most innovations are based on software and the connectivity of vehicles with the Internet. This results in two main challenges: The software must be functionally safe. That means it must not interfere the entire vehicle system in case of a malfunction. In addition, the software must be protected against cyber attacks from the outside so hackers can not access data and functions. Both topics are addressed by Vector. In aircrafts, many different communication networks are used to exchange non-flight-relevant data, e.g. for galley control, cabin management and multimedia. The most relevant bus systems are CAN, CAN FD, ARINC 429, ARINC 825, AFDX, Ethernet and CANopen. Vector's focus is on tools for E/E architecture, monitoring and analyzing bus communication as well on test tools and hardware. Modern medicine increasingly relies on electronic devices to improve quality of life and medical care. Medical devices provide life saving capabilities: patient monitors, infusion pumps, pacemakers, and defibrillators. The common element is all contain significant amounts of embedded software. Vector provides medical device OEMs, CMOs and suppliers with a professional and open development platform of tools, software components and services for creating embedded systems.